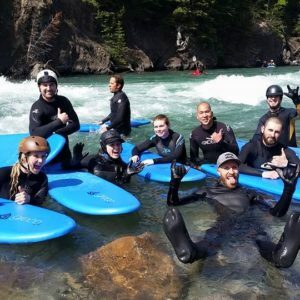 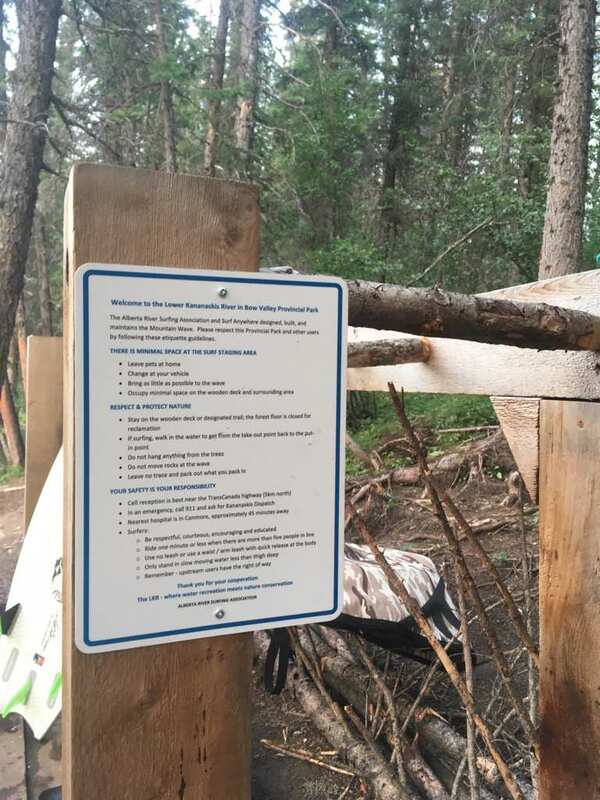 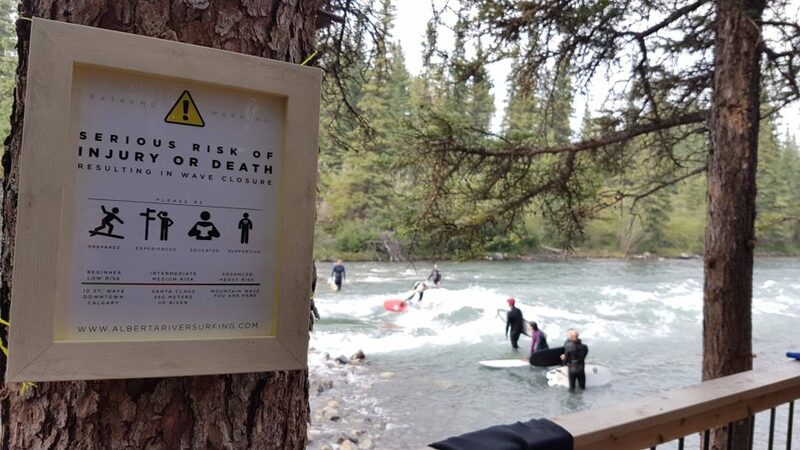 Surf Anywhere developed this safety signage to encouraging safe practices at the Mountain wave in the Kananaskis. 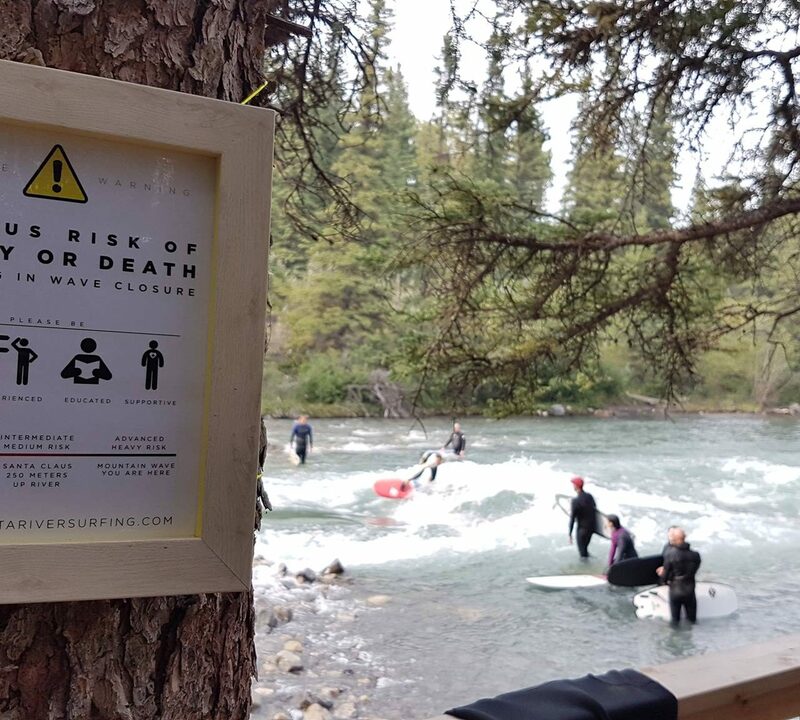 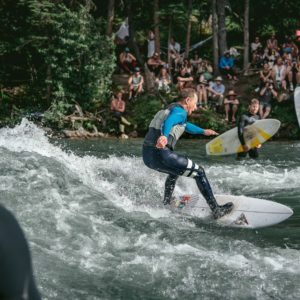 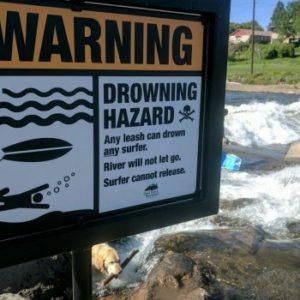 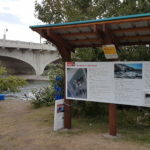 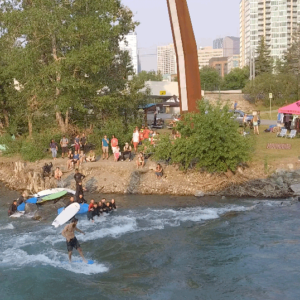 The signage offers alternative wave locations for beginners because the Mountain wave is a high performance wave with a shallow runout. 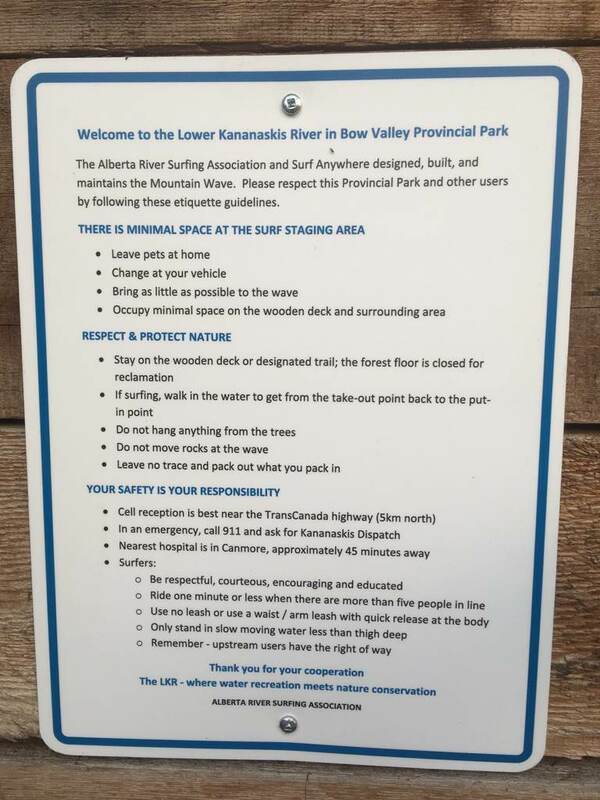 The sign addresses a known safety issue in a positive and constructive manner.